Kim Coomer, president of the Warren County Education Association, hails a Kentucky Supreme Court ruling that nixes the pension law approved this year by state lawmakers. Flanked by leaders of the Kentucky Education Association and state Fraternal Order of Police, Attorney General Andy Beshear quickly assembled a news conference from his Frankfort office. Beshear, who filed the lawsuit challenging the pension law, called the ruling an important win for good government and transparency. "This is a poke in the eye, a kick in the teeth, and a stab in the back to our legislature, the men and women who are elected by the people to make the laws of this commonwealth," Bevin remarked. State lawmakers introduced and passed the pension bill in one day near the end of this year’s legislative session, and without taking public comment. Beshear sued, arguing the legislature violated the state Constitution by not voting on the proposal three times over three separate days. Bevin argued lawmakers didn’t need to do that because they had substituted the bill for an unrelated one that already had the required votes. The state’s high court sided with the attorney general in a unanimous decision. The ruling could have political consequences. Bevin is up for re-election next year, and Beshear is one of the Democratic candidates vying to replace him. The GOP governor on Thursday called Beshear’s lawsuit self-serving and political. Attorney General Andy Beshear, the son of former Governor Steve Beshear, rejected the notion that his lawsuit was political. The controversial pension legislation moved all new teacher hires into a hybrid plan, similar to a 401-k. The law also restricted how teachers used sick days to calculate their retirement benefits. Teachers responded by shutting down schools across the state and travelling to the State Capitol by busloads to protest. 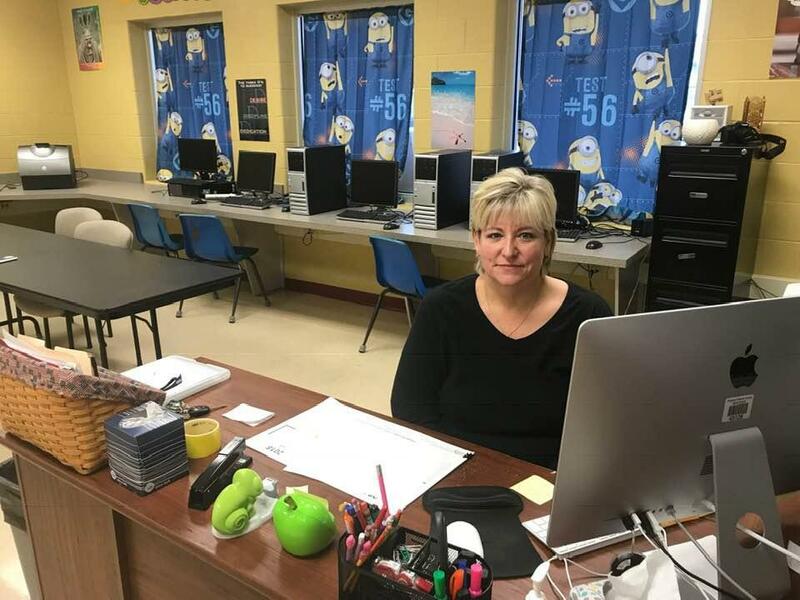 Educator Kim Coomer responded to the ruling from her classroom at the Warren County Area Technology Center. “I think it’s a great day for public servants, and hopefully, this sent a messages to legislators loud and clear that you cannot do backdoor deals and do things in the dark because eventually they’re all going to come to light," Coomer told WKU Public Radio. Coomer is president of the Warren County Education Association. With more than two decades in the classroom, Coomer wants her retirement benefits untouched, knowing how little her paycheck is and how she and other teachers aren’t eligible for social security benefits. She’s also concerned about reduced benefits affecting Kentucky’s ability to attract and retain the best educators. The retirement systems for teachers and other public sector workers went under-funded for decades, coupled with poor investments and returns. The state is now at least $38 billion short of the money it needs to pay future benefits. Governor Bevin says the plans can’t return to solvency without structural changes, but as lawmakers go back to the drawing board next month when the 2019 session begins, Coomer thinks the solution is new sources of revenue. It's unclear how the legislature will respond when the session opens in early January. They could try to pass the bill again without using the legislative maneuver the court ruled unconstitutional. Coomer says she and fellow teachers are ready to organize again. Kentucky Gov. Matt Bevin has posted a video criticizing the Courier Journal after the newspaper announced this week that it’s partnering with the independent media nonprofit ProPublica on a year-long investigative project. The Courier Journal says the project with ProPublica will examine an agency of Kentucky state government, continuing what the newspaper describes as its 150-year tradition "of protecting taxpayers, safeguarding the environment and holding public officials and government agencies accountable." In a 3-minute video, Governor Bevin ripped into the investigative team. Bevin signed a law earlier this year that would move all new teachers into a hybrid pension system. It would also change how current teachers use sick days to calculate their retirement benefits. Democratic Attorney General Andy Beshear sued to block the law, saying it was unconstitutional. The Kentucky Supreme Court has agreed to hear Republican Gov. Matt Bevin's appeal of an earlier ruling striking down changes to the state's struggling pension systems. Kentucky's Republican-controlled legislature passed a law earlier this year that would move all new teacher hires into a hybrid plan and limit how teachers can use sick days to calculate their retirement benefits. In June, a state judge struck down the law because he said lawmakers violated the state constitution by not giving the bill three readings over three days. Republican leaders of the Kentucky legislature say they will consider passing another bill dealing with state workers’ retirement benefits if the state Supreme Court strikes down the controversial pension bill that drew thousands of protesters to Frankfort earlier this year. A lower court blocked the pension bill from going into effect over the summer and a Supreme Court decision over an appeal of the case could come as soon as next week.